Because life is hard and you will eventually face difficult situations that require authentic/genuine manhood and womanhood–generics and counterfeits will not do (like a styrofoam crutch, a paper-mache boat, or silicone muscle-implants). 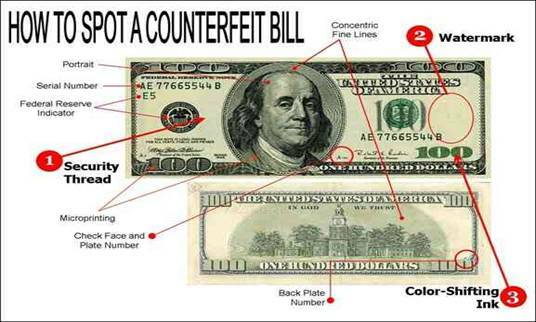 Because bankers learn to spot counterfeits not by studying fakes but by studying REAL money–the same is true with real manhood/womanhood…we need to deeply know what real men and women look like so we can spot the counterfeits that the culture tries to sell us. Because maybe, just maybe, we are bored with life not because life is boring but because we are settling for something less than the best that is offered us–like a little kid who only wants his Matchbox toy cars when he is invited to drive real Ferraris, like a person who stays in the gift shop and never gets on the roller coaster. Because honestly, many many businesses–without realizing it–are still looking for real men and women to work at their companies. As the quality of human character/integrity continues to decrease, those who are real men and real women will stand out even more and will be rewarded, just as stars are most noticeable at night when it is dark. Problem: only temporary–we ALL grow old, wrinkly, saggy, etc. Problem: money can be lost–what happens to those who have much and lose it? What happens to those who spend their lives trying NOT to lose it? Problem: only temporary and can easily be lost–some of the most famous people yesterday are all-but-forgotten today. Problem: chasing happiness is like trying to catch butterflies with your hands–extremely difficult and when you finally do you often crush them because they’re so fragile. Problem: if we’re honest we realize that we are blind, that there is SO MUCH we don’t know/realize. Let children run their own lives and see who they turn out to be. Problem: 99.99999% of us will never be “the best,” will never win the championship. Isaac continued to obey and honor his dad Abraham even after Abraham was about to kill Isaac! There are MANY other Biblical examples of virtuous characteristics of real men and real women. Will you search the Bible to find them? Will you trust in Jesus as your Savior to be forgiven of your sins and thus to be inhabited by the Holy Spirit so He can begin the great renovation project in you?